Select Perfect Cotton Batting is made with 100% long staple cotton, no chemicals and no bleaching. This incredibly soft, high quality batting features a light scrim (stabilizer) which helps to control stretching and movement during quilting and embellishing. 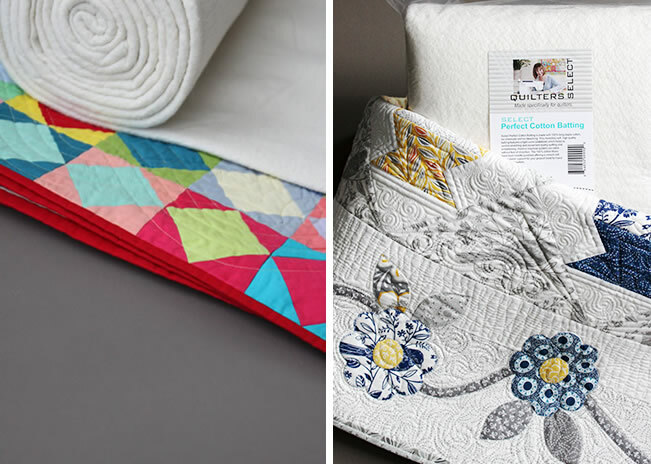 Hand or machine quilters can stitch without fear of distortion. The 100% cotton fibers have been needle punched offering a smooth loft and superior support for your project! Ideal for hand or machine quilters. DO NOT MACHINE WASH OR DRY BATTING BEFORE QUILTING.